A powerful blast occurred in Isulan town, Sultan Kudarat province, in the southern Philippines on September 2, killing at least one and injuring 15 others. 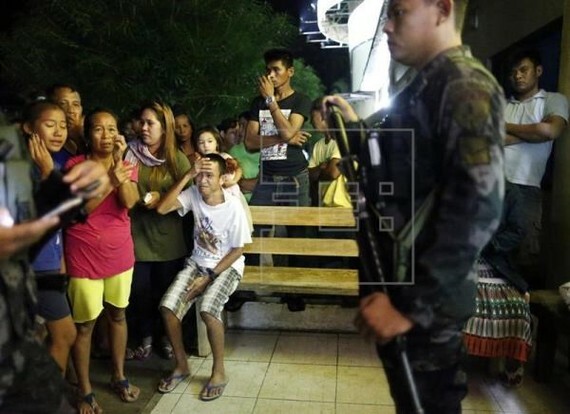 Local authorities said a home-made bomb ripped through an internet cafe at around 7:35 p.m. An 18-year-old boy was killed in the incident. Three of the 15 wounded are fighting for their lives in a local hospital. No group claimed responsibility for the blast but the Philippine government accused the Bangsamoro Islamic Freedom Fighters (BIFF) linked to the Islamic State (IS) of standing behind the bombing. The BIFF is a breakaway faction of a Muslim separatist group which signed a 2014 peace deal with the government to end 50 years of conflict that had killed 120,000 people and displaced 2 million in the south of the mainly Catholic Philippines. The attack happened just a few days after a bombing on August 28 also in Isulan town left three dead and more than 30 others injured.